The job naming consultants is not an easy job. Parents spent months thinking about a name to call their children. So it’s much harder while looking for a new name for your business, because the name that you are searching for doesn’t exist yet. 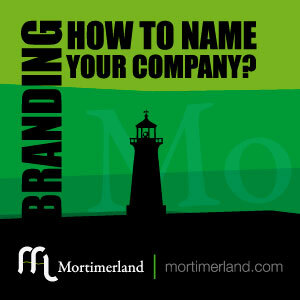 Planning your branding strategy is a must at marketing and brand identity creation. There are some facts you have to keep in mind if you want to create an original brand identity. The first one is forgetting all brands that you like. Imitation is the first step to failure; no one wins a game of chess imitating his opponent, you’ll be always late. Originality is crucial, don’t copy. Change your way of thinking, look at your business from different points of view, forget about what you think is cool: Not every parents call their son Brad Pitt. The name you are looking for doesn’t exist yet, this is your battlefield. You should also take care of your competitors, what are they doing, what are they saying, where are their brand placed in the mind of the clients. You need to plan your branding strategy. There isn’t a good idea to start a social network called “twentier” because that’s enough whith “twitter” and “tumblr” in the social network scenario. And, of course, because you’ll never have the marketing strenght of those companies. Find your place in the mind of the costumers and give them a brand that fits in with it. Brand identity creation is not an easy job. You need to find the place of your business in the mind of the costumers and give them a brand that fits in with it.